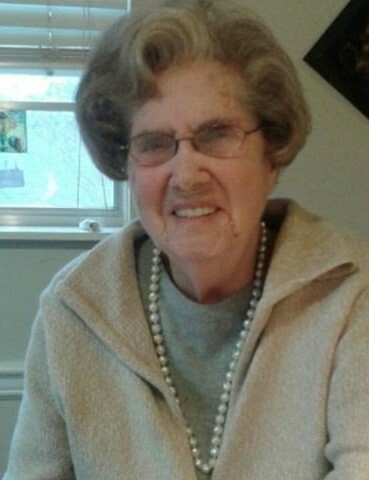 Edna Mae Jones Julian was preceded in death by her husband, Jesse W. Julian, Jr. Mrs. Julian had worked at US Steel in Fairfield for 40 years and was the second woman hired at the Fairfield Tin Mill Plant. She was a member of Rosie the Riveter Association. Mrs. Julian was also a member of Sylvan Springs First United Methodist Church. One of her greatest joys in life was being a Mimi to her grandsons and as long as she could, she was active in all aspects of their lives. Mrs. Julian is survived by her daughters, Louise Julian and Mary (Gary) Jinks; grandchildren, Jesse Jinks and Spencer Jinks; a host of nieces and nephews and her long time dear friend, W.B. Jackson. A Celebration of Life will be on Friday, December 7, 2018 at 1:00 pm at the chapel of Crestview Memorial Funeral Home with Rev. Dr. Kevin Higgs officiating. A time of visitation will be on Friday at 11:30 am until 1:00 pm at the funeral home. Burial will be at Crestview Memorial Gardens.